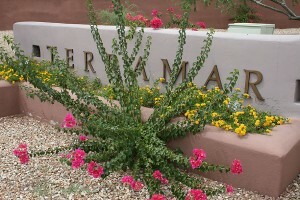 Looking to buy a home in Terramar within Peoria, AZ? Browse the most up to date listings for all Peoria homes for sale in Terramar. This home search is updated daily for the most current information. Ready to learn the current value of your Terramar home? Visit Phoenix Property Value for your free no obligation 20+ page detailed report delivered to your email within 24 hours! The highly desirable north Peoria community of Terramar is located in the northwest quarter of the intersection at 67TH Ave and Happy Valley Rd. The established neighborhood includes two open green spaces, Palo Verde park and Terramar park, along with many walking trails and greenbelts, in addition to Terramar Elementary school – part of the Deer Valley Unified school district. Terramar home models range from 3-bedroom single levels to 5-bedroom two-levels and a great many properties have a pool for enjoying the 300+ days of sunshine in Phoenix each year. The average Terramar house was built in 1999. Little-known Terramar fact: a 20-acre, city-owned portion of the Palo Verde ruin, once home to the largest Hohokam settlement along the New River, is the second Peoria landmark to earn a spot on the National Register of Historic Places. The ruin is in north Peoria, near Jomax Road and 73rd Drive, in the Terramar subdivision. In 2011, the city of Peoria opened a 4-acre park atop part of the ancient settlement after a consultant gathered information and collected artifacts from the site before construction began. 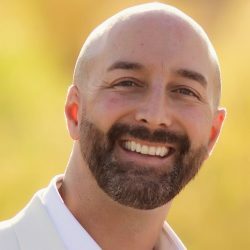 I have lived in Peoria 85383 since July 2007 which helps further distinguish me from other realtors, who may not have the same in-depth local real estate market knowledge and certainly might not even live in our area. Do you really want someone who has to drive across town to show you a home? Work local with me as your Terramar realtor! Leveraging on my local expertise is the worldwide brand power of RE/MAX, recently ranked #1 by buyers and sellers in the J.D. Power & Associates consumer satisfaction survey of real estate companies, another key consideration in having me on your side when searching for a home in Terramar or in selling your Terramar property. I can also help you relocate anywhere in the US or the world… remember RE/MAX is worldwide! Reachable. Reliable. Reputable. Working with an experienced and professional Terramar realtor doesn’t cost any more, so please don’t hesitate to contact me any time to discuss buying or selling property in Terramar. I look forward to answering all your questions and without any pressure. Enjoy driving through Terramar on a lovely weather weekend? Tired of hearing that homes are already under contract when you call the “For Sale” signs? I understand your frustration when searching for a home in this rapidly changing market. Let me make it so much easier! Tell me about your wants and needs so I can create a detailed search that will alert you to all Terramar homes for sale and any new listings meeting your criteria that come on the market. Just call or text me to save yourself the aggravation! This way you will always know what is available for sale and what just listed in Terramar.